For example, a prideful person is imbalanced in the direction of self-importance. Counsel for them will be weighted in the direction of humility. An insecure person is imbalanced in the direction of self-doubt. Counsel for them will be weighted in the direction of confidence. I should be counseling both people towards the same goal (i.e., a healthy identity in Christ) but the emphasis of the conversation will be quite different. What is said in each of those counseling sessions would be different than if I were lecturing on “A Practical Theology of a Healthy Identity in Christ.” This would not mean the sessions were heretical or that the lecture was an impractical theology. It means that each was a different type of exercise (counseling session vs. counseling lecture) that results in a different type of product (personally imbalanced vs. purposefully balanced). There was freedom for me in this realization. 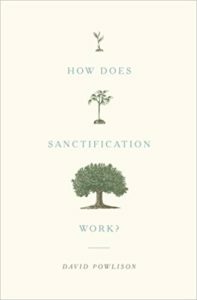 It helped me realize there were important differences between the public ministry of the Word (i.e., preaching, teaching, and writing) and the private ministry of the Word (i.e., counseling, accountability, character formation). Public ministry is balanced and generalized; private ministry is imbalanced and particularized. Not understanding these differences: (a) creates tension between those in vocational ministry and vocational counselors, and (b) allows those tensions to become a distraction from the benefits to be gained from the strengths of each. 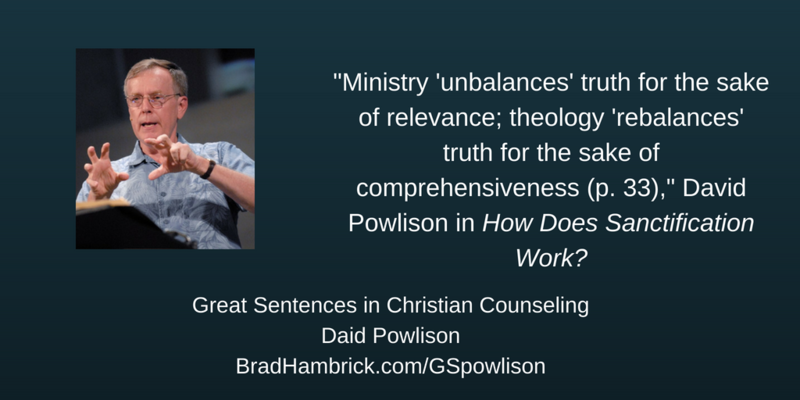 As one who has the opportunity to frequently teach and write (balancing ministries), I have grown to greatly appreciate how these exercises create greater discernment for when helpful, imbalanced truth becomes unhelpful error. As one who also has the opportunity to frequently counsel (imbalancing ministry), I have grown more humble in seeing how timeless truths can be applied in ways that are unhelpful, sometimes harmful, in particular moments. This reflection gives me a greater appreciation for Christ as the Wonderful Counselor. Christ brought the perspective of God, existing outside of time and seeing the ultimate need / outcome of each situation – perfectly balanced. Christ was also incarnate, fully experiencing the uniqueness of each moment (priestly function) and moving at the pace each sheep could journey (shepherd function) – willing to personally imbalance. I want to be able to be Christ-like, as each person needs, in my ministry. I am grateful for this quote from David Powlison that put this goal into words that helped me reconcile with the tension I was trying (and still striving) to navigate. If this post was beneficial for you, then consider reading other blogs from my “Favorite Posts on Theology and Counseling” post which address other facets of this subject.